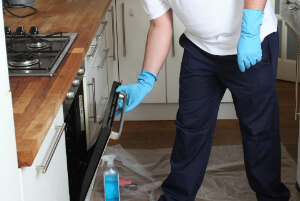 Oven Cleaning Home & Commercial Kitchen Greater London SE | Quality Property Care Ltd.
Every one needs a modern and fast professional oven cleaning! Quality Property Care Ltd. offers it at an affordable price and without any impact on your healthy lifestyle! Don't wait to book your residential and commercial oven cleaning on 020 3746 4287 365 days per year including on weekends or holidays! Quality Property Care Ltd. was founded in 2005, and has been cleaning the ovens of people, restaurants and other professional kitchens ever since. The oven cleaners are highly trained, vetted and licensed to work with a number of brands and types of range cookers, ovens, cookers and others. The oven cleaning services are fully insured, and the kitchen appliance or the oven is tested before and after the cleaning procedure. A dip tank deluxe method is used to soak all oven parts. The cleaners disassemble and soak and then use sponges and wire brushes to clean panels, pans, racks, trays, fans, light protectors, control knobs and extractor filters from all the grime and dirt, burnt on carbon and residual grease. All detergents are of the best quality, and are 100% children and pet friendly, and eco-friendly as well. 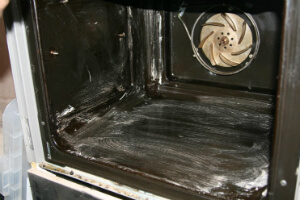 You can use the oven or the cooker immediately after it has been deep cleaned. Don’t wonder whether you should get a professional deep oven cleaning, and book your service today! Give us a call at any time! Dial 020 3746 4287 and get in touch with our customer care team. You can use the booking form located on the website to book and get answers about our services. If you want more information on pricing, the services or to get a free quote, use the hotline number. We regularly have new deals and offers for our clients, so stay in touch with us to save money and time on your next order.